Create a Social Media Buzz with Augmented Reality Faces - Upcoming Media Inc.
Social media is a great way to get your brand in front of thousands – and possibly millions – of potential customers. The best way to get your brand message viral is to provide users with something fun and engaging that they can share with their networks. By using augmented reality (AR) masks, users can capture your brand experience and place it on to their face, creating shareable content that their social media contacts will want to try out for themselves. What are Augmented Reality Faces? 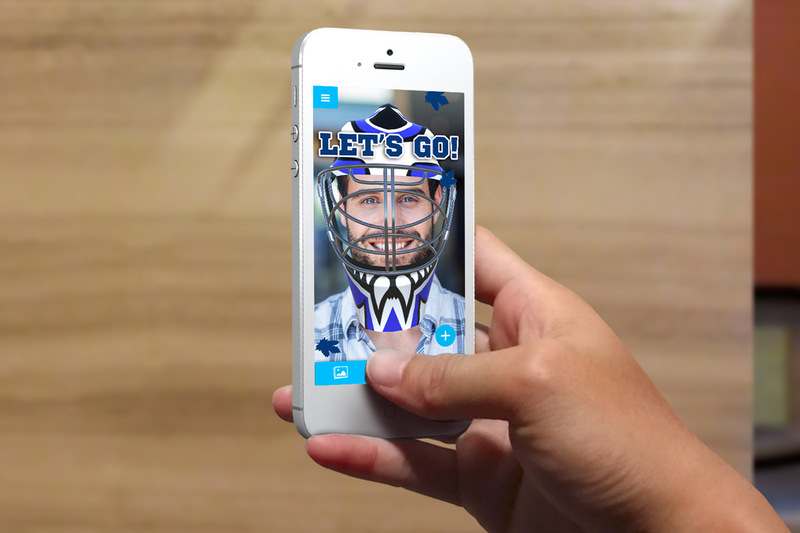 AR Faces (also known as AR Masks) allow a mobile device user to interact with your brand in a new way, such as a virtual mask, tattoo, or helmet, and place it over their own face. Currently, AR applications allow users to alter their pictures with enlarged eyes, animal ears, and other comic elements. Social media is flooded with these altered images, not only demonstrating the filter’s extreme popularity, but also the potential exposure AR masks can bring your brand. Creating an augmented reality mask experience is easy and affordable, and because they’re accessed through the mobile app, your audience will be able to interact with it anywhere. After finishing with their AR mask experience, users can share their creation with their own favorite social networks on Twitter, Facebook, Instagram, and more, getting your brand experience in front of potentially thousands of people. You’ll be creating brand advocates who’ll spread the word about your company at no additional cost! The Upcoming Media Solutions app is free for users to download on Apple iOS and Google Android so they can quickly and easily start engaging and sharing your customized brand experience. Select from a classic hockey helmet, fan’s favourite mascot, Halloween skulls, pumpkins, and more! The Upcoming Media Solutions app demonstrates what AR innovations can do for your business. Draw traffic, build customer engagement and increase sales with experiences we can help you create. Learn more by emailing contact@upcomingmedia.com today!